Electrodialysis is an electromembrane process, during which ions are transported through a semipermeable membrane under the influence of an electric field. Electrodialysis has several advantages compared with other methods of liquid purification. The degree of extraction of pure water reaches 90-95%. 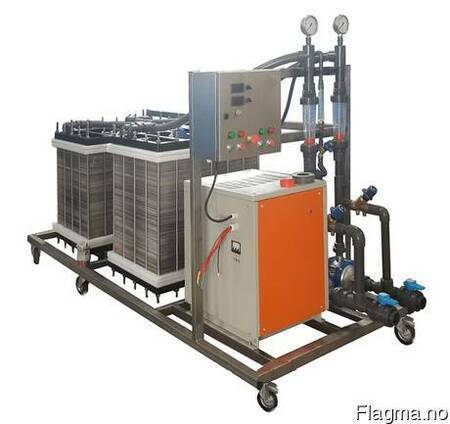 Another significant advantage of electrodialysis is the fact that the membranes of this apparatus are resistant to the action of active chlorine of higher concentrations than the baromembrane desalination plants, which is important in certain industrial processes.